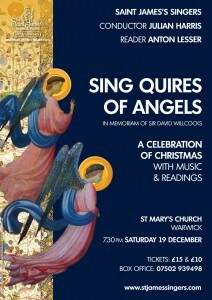 The Saint James’s Singers will perform their Christmas 2015 concert at St Mary’s Church, Warwick on Saturday, 19 December starting at 7.30pm. 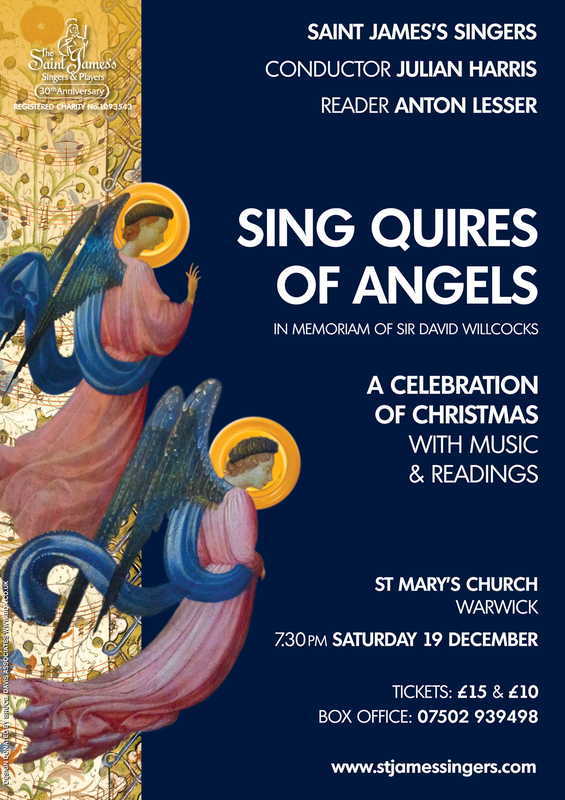 Following the sad death of Sir David Willcocks aged 94 earlier in the autumn, we have planned a programme which will focus on his wonderful arrangements of many well loved carols. 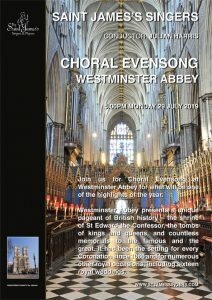 Sir David was the most influential choirmaster of his generation, spending 17 years as director of music at King’s College, Cambridge, and 38 years in charge of the Bach Choir. 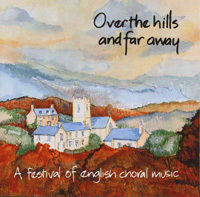 The Reader for this concert will be the eminent actor Anton Lesser. Anton has played many of the principal Shakespearian roles for the Royal Shakespeare Company, including Petruchio, Romeo and Richard III. He has also appeared in film and television including, earlier this year, the role of Sir Thomas More in the acclaimed TV series Wolf Hall.